Christopher Nolan’s depiction of the events at “Dunkirk” has helped rescue the U.K. box office in 2017 after a mid-year slump. A strong July performance, boosted by “Dunkirk’s” July 21 opening, has taken British cinema admissions for the year to more than 100 million – the first time since 2010 that that number has been exceeded after the first seven months of the year. Overall U.K. cinema admissions reached 102 million by the end of July, a 6.6% rise compared to the same period in 2016 and the best performance since 2009, when 103.5 million ticket were sold in the same period. At the end of July, “Dunkirk” had already earned £28.4 million ($37 million) at the U.K. box office, ranking eighth among all titles for the year despite only being on release for 11 days, according to comScore. 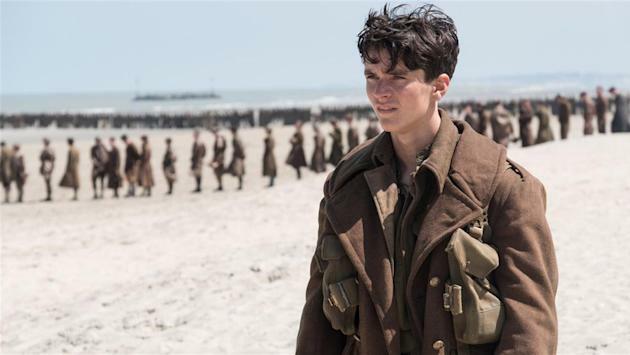 Admissions for individual titles are not available in the U.K.
Nolan’s spectacular war film has since gone on to surpass “Despicable Me 3,” July’s single-biggest performer, with £49.1 million ($64 million) to Sunday, Aug. 20. It has also now overtaken Nolan’s “The Dark Knight” to rank second amongst the director’s catalog in Britain behind “The Dark Knight Rises,” which took £56.3 million ($88.2 million). July, which saw admissions up 7.3% at 17.8 million according to latest figures from the U.K. Cinema Association, is the fifth month of the year to post improved results on 2016 but comes after May and June both posted an admissions decline. Even so, a strong start to the year meant year-on-year results never dropped below 2016 levels at any stage. Like July, February saw admissions at their highest since 2011, while both March and April delivered their best ticket sales in over 15 years. Phil Clapp, CEO of the U.K. Cinema Association, said that while the market should not get too complacent about the results, with more than a third of the year to go, the success to date can be attributed to a number of factors. But Clapp also points to the results being a “dividend of significant investment of cinema exhibitors in customer experience” in the U.K., as well as suggesting that people’s uncertainty following recent political instability in the country post-Brexit and the U.K. election might be a contributing factor. “There is an underlying effect we’ve seen in the past that cinema can offer escapism that is affordable,” said Clapp.